Philippe Medawar is a tremendously skilled and gifted Master Jeweler. The proverbial “needle in a haystack,” clients say that once they’ve found him, they’re clients for life. Whether you want to purchase a new timepiece, need your watch repaired, or wish to sell your luxury watch to make room for another, Swiss Watchmaker, Philippe Medawar, has generations of expertise to guide you. Philippe Medawar has been been serving the greater Grand Rapids area for over 30 years. The Philippe Medawar brand epitomizes trend-setting innovations in jewelry design and high-grade Swiss watchmaking. 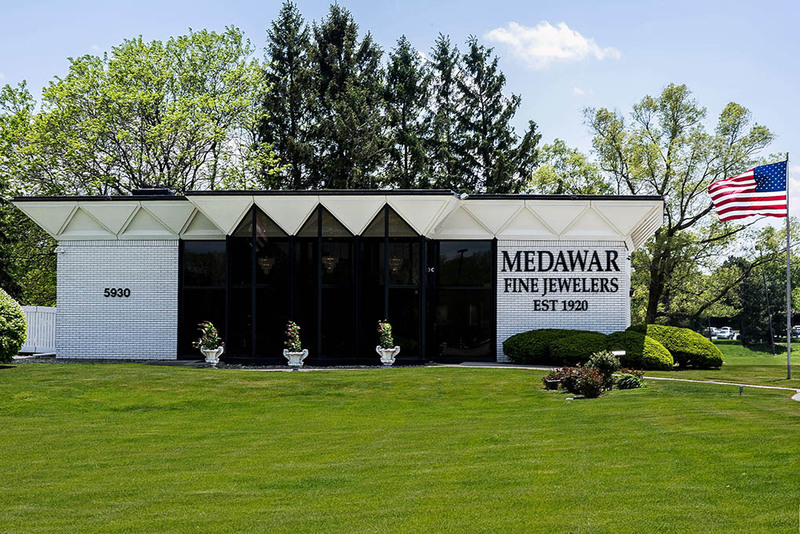 Known throughout West Michigan as “The Jewelers’ Jeweler,” Philippe Medawar hand-crafts fine jewelry that communicates a rare, artistic vision captured and translated by the gifted artisan. Inspired custom jewelry designs to fit your personality and lifestyle by Philippe Medawar. Priceless heirlooms are in masterful hands when Philippe Medawar restores them to pristine condition. 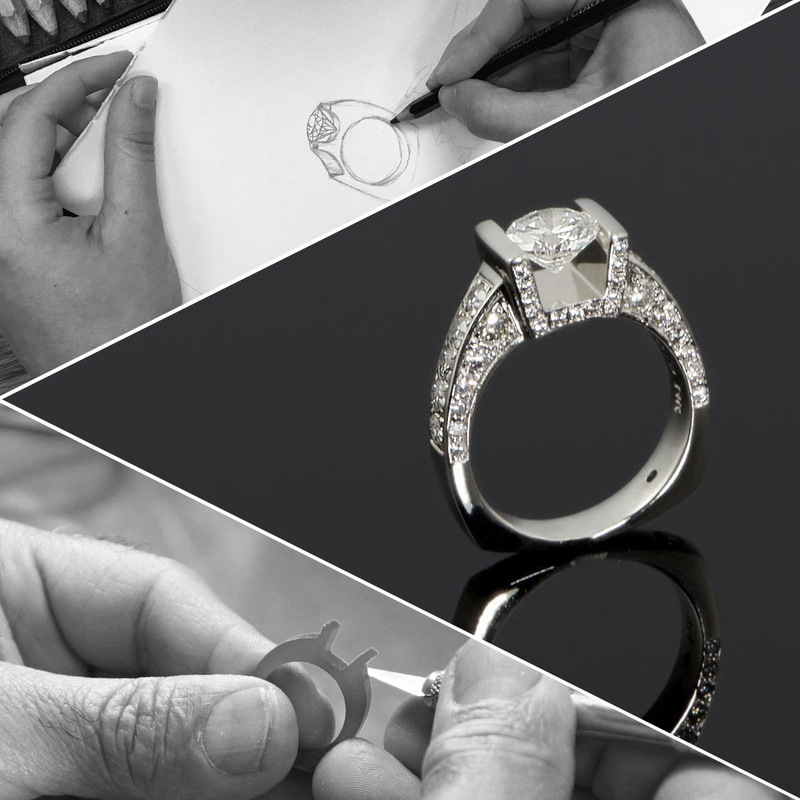 All client services are performed expertly at Philippe Medawar's in-house atelier. Whether a sketch on a cocktail napkin or the compilation of two or more elements from designs in Philippe Medawar's sparkling showroom, there are various approaches to Custom Jewelry Design. Some clients arrive confident with a particular design idea; whereas, others fully rely upon our expert guidance. Philippe Medawar also redesigns heirlooms, tired-out wedding rings, or any sentimental item using the same metals and gemstones, magically transforming them into expressions of your personal style. Philippe Medawar Custom Jewelry Design services are all performed at the in-house atelier at 5930 28th St. in Grand Rapids, Michigan. Many skilled artisanal trades are disappearing from the marketplace and, fortunately, watch connoisseurs can rejoice that Philippe Medawar still offers Swiss Watchmaking Services at his in-house atelier in Grand Rapids, Michigan. A sophisticated, international clientele trust their timepieces to Philippe Medawar’s expert care, knowing his scrupulous attention to detail in conjunction with a sincere concern for his clients’ needs is unprecedented. Patek Philippe, Rolex, Omega, Tag Heuer, Breitling, Vacheron Constantin, Tudor, Baume & Mercier, Audemars Piguet, Rado, Bell & Ross, Panerai, Corum, Jaeger-LeCoultre… merely a small sampling of the myriad watch brands serviced by Philippe Medawar’s virtuosic hands for over 40 years. Philippe Medawar epitomizes the Old World skill of a master craftsman in perfect unison with state-of-the-art technology showcased at his in-house atelier on 28th Street in Cascade, Michigan, an idyllic village just 10 minutes southeast of downtown Grand Rapids. Custom Jewelry Design, Watch Repair and Jewelry Repair are just three of the many expert services all performed in-house by master jewelers, Swiss Watchmakers and technicians educated and trained by the Gemological Institute of America (G.I.A.). When clients leave items for service, they are confident their irreplaceable heirlooms aren’t traveling across town to a stranger’s trade-shop or shipped abroad to a vendor’s factory to be returned months later, but are safetly kept at Philippe Medawar to be returned in a timely fashion.